Kindle loves this project because... the Center for Court Innovation's Peacemaking Program has inspired us to think differently about what's possible in the face of conflict. 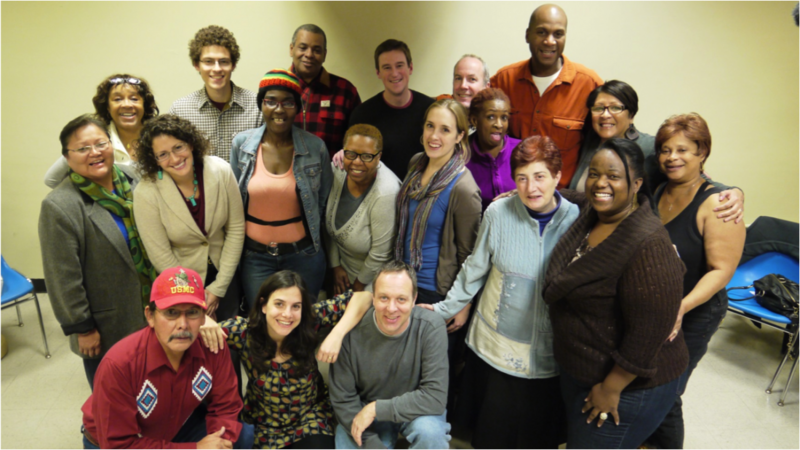 Turning the practices of mainstream conflict resolution on their head, CCI is truly a trailblazing wonder team. Seeing successful programs practicing innovation in action makes us question, what other systems could evolve into something more effective? Supporting projects such as this one and their ripple effect in the world is exactly what we mean when we say “sparking the extraordinary”. 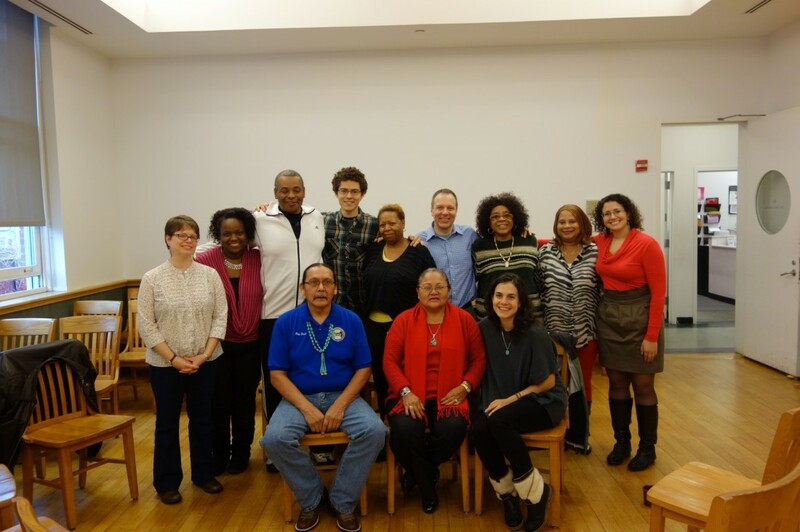 I remember meeting our first peacemaking participants, in February of 2013. 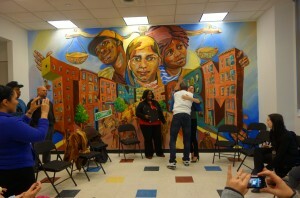 It was just after we opened the doors to our program in Brooklyn, NY, and I still wasn’t sure what we were in for. Even though we had enough community volunteers who had been trained by peacemakers from the Navajo Nation, it was a pretty small group. And, at the time, we were sharing an office with the Housing Resource Center because our space in the Red Hook Community Justice Center had just been flooded by Superstorm Sandy. All in all, I felt nervous. The participants were two female neighbors from an apartment building who had gotten into a physical fight and had been arrested for assault. We spoke to them separately and told them about peacemaking, and that we were a brand new program. Peacemaking, we explained, is a Native American tradition that emphasizes healing and restoration. Simply put, it’s about talking something out. We explained that they would sit in a circle with the opposing party, members of their families to support them, and a few community peacemakers. The peacemakers were trained to listen, but also to share their own stories. Unlike some other types of alternative dispute resolution, we wouldn’t only focus on the incident that had brought them to the room, but we would talk about underlying issues and how to move forward in a positive way. We asked them to trust us. They said they would participate. Our peacemakers on that case were as diverse as our beloved New York City. One was a gay African-American male, another was a Catholic nun from Italy, and a third was a Hispanic community activist and grandmother from Red Hook, Brooklyn. Each peacemaker brought with them stories from their own lives, times when they’ve fought with neighbors, experiences they’ve had living in close quarters, ways they’ve dealt with tension and frustration. They spoke about the impact this fight was having on the participants’ children. But mostly our peacemakers listened. Each person in the room was allowed to speak for as long as they wanted, and order was maintained through use of a talking piece. Slowly, we found out about some of the underlying issues in each person’s life. We heard grief and trauma. And we cleared the air from some misunderstandings and assumptions our participants had been carrying with them during the many interactions that had led to their confrontation. 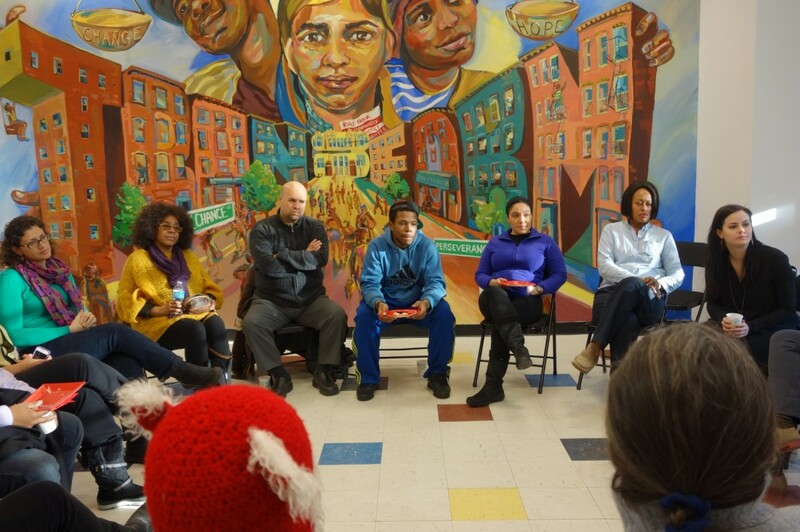 Although each case is different, for this case we held three peacemaking sessions. At the outset of each peacemaking session, we serve a hot meal to break the ice. During the third meal, our peacemakers noticed that the neighbors had come in and sat down next to each other to eat and were chatting nonchalantly. That was the first sign that peacemaking was on its way to completion. At the end of the session, the participants apologized to each other and signed a paper that contained their “resolution by consensus”, in which they stated that they had resolved their differences. We said our goodbyes and one of the women left the building to wait for the bus to go home. The second participant was being picked up by her husband in a car, and when she realized that her counterpart was waiting outside in the cold, she rushed out to the bus stop and drove her home. We were relieved. Since that first successful outcome, we’ve grown as a program and as peacemakers. 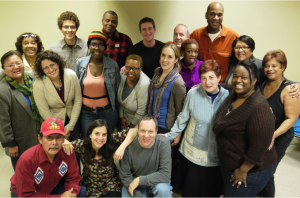 We have worked with over fifty cases, and we now have over 25 trained peacemakers. Both our participants and our peacemakers come from very diverse ethnic, socio-economic, religious and cultural backgrounds. We’ve had remarkable successes—people have resolved disputes, attained employment, enrolled in college, completed GED programs, and healed relationships. Our Navajo mentors taught us about kinship and connectedness as the basis of peacemaking. They have also said that sometimes peacemaking is just the beginning of long-term healing. We saw that play out in a case involving an assault between two sisters. By the end of the case, which took six sessions over many months, our participant had apologized and made amends with her sister, and had improved her own life by creating a resume and then getting a job. She also gave back to the community by doing community service. The court case was resolved and everyone moved on. Over two months later, one of the peacemakers received a call from our former participant. She was angry at a co-worker who was yelling racist slurs and baiting her to fight, but she said that she didn’t want to go down that road again. She stopped the altercation to go make the call to her peacemaker. She asked the peacemaker to help her regain her self-control, something they had talked about at length during her sessions. She said she wanted to walk away, and then she did. STAY TUNED FOR OUR UPCOMING FUNDRAISING CAMPAIGN! Erika Sasson is the peacemaking program director for the Center of Court Innovation, responsible for the planning, implementation and management of the peacemaking program. Ms. Sasson also serves as senior associate on the Tribal Justice Exchange, providing planning and technical assistance to tribal communities across the United States. Originally from Montreal, Ms. Sasson received her Bachelor’s degree in Peace and Conflict Studies from the University of Toronto and her civil and common law degrees from McGill University. Prior to joining the Center, she worked in Toronto as a federal prosecutor, where she handled drug, gun, and gang cases. Ms. Sasson completed fellowships on monitoring and preventing torture for the National Human Rights Commission of Sri Lanka, on criminal justice and civil rights for the Association for Civil Rights in Israel, and on the penal system of the indigenous Awá nation for an NGO in Ecuador. Ms. Sasson moved to New York in 2009 to attend New York University, where she received an L.L.M. degree in criminal justice. Our program is generously funded by The Bureau of Justice Assistance. The food is funded separately by a generous grant from the Kindle Project. We are grateful to all of our funders.